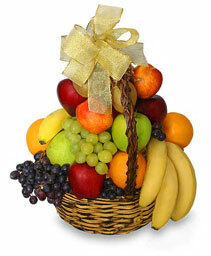 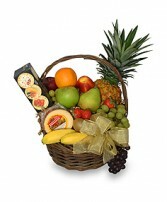 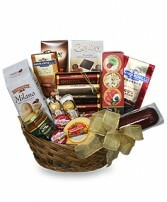 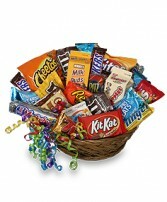 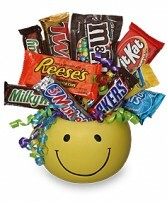 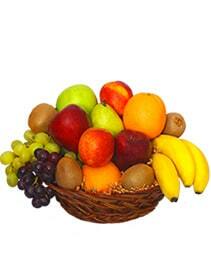 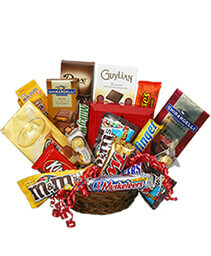 Healthy and indulgent, this basket includes fruit, chocolates, cheese, crackers, cookies and nuts. 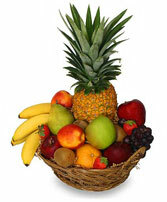 Presented in a re-usable wood chip basket. 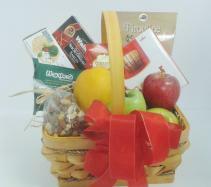 ***Basket and items in it may vary from image according to availability*** All our baskets can be customized - just call and tell us what you would like to change. 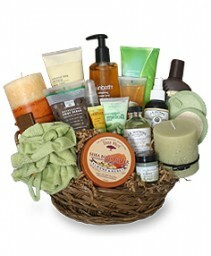 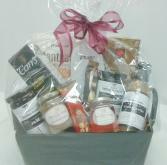 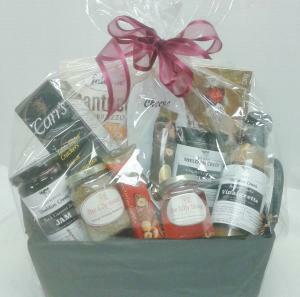 Gift basket delivery to Alliston ON, Beeton ON, Palgrave ON, Schomberg ON and all points in between. 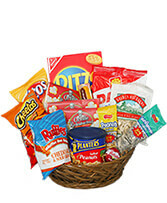 Choose from one of our standard baksets or have us custom build one for you!